I was reading the Sunday Papers, as is my want and, when reading the financial pages, it was announced UK inflation had increased to its highest level in a year. Inflation, as calculated by the Government’s Consumer Prices Index, rose by 0.3% over the last 12 months. The report said it had risen to the those ‘heady’ levels due to smaller falls in supermarket and petrol prices than a year ago. If you recall, in early 2015, we had deflation where prices were dropping! So what does this mean for the Aylesbury property market ... especially the tenants? Back in November, the Office of National Statistics stated average wages only rose by 1.8% year on year, so when adjusted for inflation, Aylesbury people are 1.5% better off in ‘real’ terms. Great news for homeowners, as their mortgage rates are at their lowest ever levels and their spending power is increasing, but the news is not so good for tenants. The average rent that Aylesbury tenants have to pay for their Private Rental Properties in Aylesbury (i.e. not housing association or council tenants) rose by 2.9% throughout 2015, eating into most of the growth. 2015 wasn’t a one off either. In 2014, rents in Aylesbury rose by 2.2% (where salaries only rose by only 0.2%) However, it’s not all bad news for Aylesbury tenants, because in 2013 rents rose by 1.8%, (but salaries rose by 2.2%). More and more, talking to 20 and 30 somethings who rent – it’s a choice. Gone are the days where owning your own property was a guaranteed path to wealth, affluence and prosperity. I know I keep mentioning Europe, but some of the highest levels of home ownership are in Romania at 96.1%, Hungary at 88.2% and Latvia at 80.9% (none of them European economic dynamos) and even West European countries like Spain at 78.8% and Greece at 74% (and we know both of those countries are on their knees, riddled with national debt and massive youth unemployment). At the other end of the scale, whilst we in the UK stand at 64.8% homeownership, in Europe’s powerhouses, only 52.5% of Germans own a home and only 44% of Swiss people are homeowners. Yet home ownership has not always been the rule in the UK. In 1918, only 23% of people were homeowners, with no council housing, meaning in fact, 77% were tenants. Tenants have choice, flexibility to move, they don’t have massive bills when the boiler blows up, it’s a choice. Aylesbury rents are growing, but not as much as incomes. To buy or not to buy is an enormously difficult decision. For while buying an Aylesbury home is a dream for the majority of the 20 and 30 something’s of Aylesbury , it might not leave them better off in the long run and it isn’t necessarily the best option for everyone. That is why, demand for renting is only going in one direction – upwards. Life as a Husky really is pretty tough. A great Southside apartment in Aylesbury with higher than average yield. It is not often you see a one bedroom character property on the Southside of town that is ideal for your rental portfolio. This top floor apartment is well presented so you should not need to do much to maximise rental returns. 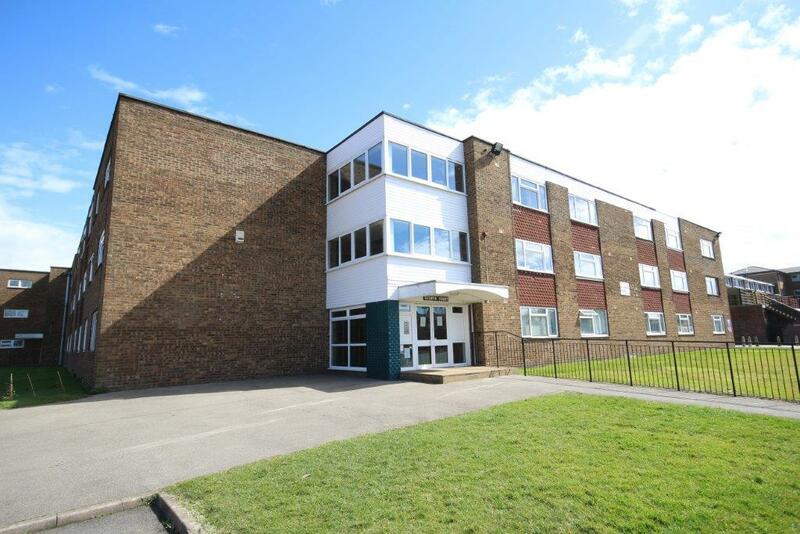 One bedroom flats at nearby Poets Chase let well at close to £700pcm and I would see this as more desirable for the discerning tenant so should achieve £725/£750. This would give a great 5.4% gross yield...higher than the Aylesbury average. From the sales details... 'This highly individual top floor apartment is situated within an attractive character building on the much sought after south-side of town. The property offers well proportioned accommodation that includes a large L-shaped lounge/diner, refitted kitchen, spacious double bedroom with built-in wardrobes and refitted bathroom with white suite. Outside there is allotted parking situated to the rear of the block and well maintained communal gardens. I was sat talking with my 17 year old daughter at the weekend with some of her friends. Several of them asked about the rental market and the cost involved for a tenant to rent a property. It did not take long for the conversation to move on to buying a house that they could live in and call their own. They were each concerned that they would be unable to afford a home of their own. My latest analysis, using the Land Registry and Office of National Statistics, shows that overall, month on month, Aylesbury property values increased by 0.2%. The year on year figures showed the value of residential property in Aylesbury has increased by 10.3% in the year to the end February 2016, taking the average value of a property in the council area to £330,100. We can look at the last few months’ figures and see the patterns that seem to be emerging. We have talked in many recent articles about the lack of properties being built in Aylesbury over the last 30 years. This lack of new building has been the biggest factor that has contributed to Aylesbury property values being 275.31% higher than in 1995. At the risk of repeating myself, until the Government addresses this issue, and allows more properties to be built, things will continue to get worse as the UK population grows at just under 500,000 people a year (which is a combination of around 226,000 people because of higher birth rates/people living longer and 259,000 net migration) whilst the country is only building 152,400 properties a year – no wonder demand is outstripping supply. Another reason intensifying the current level of property values in Aylesbury, is the fact that people are not moving home as much as they used to. Fewer properties are coming onto the market for sale, so in consequence, there is a lack of choice of property to buy, meaning people thinking of moving are discouraged from putting their property on the market ... thus perpetuating the problem, as the scarcity of possible properties to buy in order to move also deters people from offering their home for sale. This unevenness between demand from would-be purchasers and the number of properties coming on to the market for sale is causing pressures in Aylesbury (and the rest of the UK). Over the last few weeks we are frequently seeing property fought over by buyers as the supply is so weak, resulting in prices over asking price being achieved. So what of the future of the Aylesbury property market, my daughter and her friends? I firmly believe the property market in Aylesbury and the country as a whole is changing its attitude about homeownership. Back in the 1960’s, 70’s, 80’s and 90’s, getting on the property ladder was everything. Since the late 1990’s, we as a country (in particular, the young) have slowly started to change our attitude to homeownership. We are moving to a more European model, where people choose to rent in their 20’s and 30’s (meaning they can move freely and not be tied to a property), then inherit money in their later years when their property owning parents pass away, allowing them to buy property themselves ... just like they do in Germany and other mature European countries, meaning my daughter will end up owning property, just later in life than we did. So, whatever the vote on the 23rd of June, if you think about it, we might be more European than we think! 31% of Aylesbury people Rent - Is that Healthy? Renting used to be a dirty word in the 60’s and 70’s. You either lived in a ‘Rigsby Rising Damp’ style bedsit with wood chip on the wall and a coin operated electric meter (that buzzed in the night) or you lived in a council house. In the latter part of the 20th Century, we were persuaded that rent payments were ‘wasted money’. Owning often makes less financial sense than renting and as the rate of homeownership is starting to drop there is no stigma at all to renting ... everyone is doing it. In fact, of the 71,076 residents of Aylesbury, 22,080 of you rent your house from either the local authority/social provider (i.e. council house or housing association) or private landlords – meaning 31.06% of Aylesbury people are tenants. The idea of homeownership is deeply embedded in the British soul, in fact 47,767 Aylesbury people live in an owner occupied property (or 67.2%). Housing is at the heart of Government policy, as George Osborne has promised 200,000 new properties a year so first time buyers can buy their first home. To get votes, Thatcher (and everyone since) ran election campaigns promising everybody their own home, and as a country, we seem to equate homeownership with British lifestyle. So as more and more people are renting are we turning to a more European way of living? Well, as a country, we are. In fact, homeownership could be affecting your health! The UK, according to Bloomberg, is only the 21st healthiest country in the world. Germany is at No.10 and Switzerland at No.4 and homeownership is at 52.5% and 44% respectively in those countries (in the UK it is 64.8%). I am not suggesting that low homeownership rates in Switzerland and Germany are directly linked to health, nor, do I expect Brits to all go to Berlin, Interlaken or Düsseldorf and realise how happy people are when they do not need to worry about all the stresses which accompany homeownership. The numbers for Aylesbury do go some way to back up the argument (and they are the same across the whole of the UK). Nonetheless I do think that the upside to homeownership in recent years has been a function of rising house prices. Renting is here to stay in Aylesbury and it is growing incrementally each year. Even with the new tax rules for landlords, buy to let is still a viable investment option for many people in the town, but buy wisely. Gone are the days that you could make profit on anything with four walls and a roof. Take advice, take opinion, do your homework. Approaching two years old now. What would Brexit mean to the 19,000 Aylesbury Property owners? If you read all the newspapers, the Brexit debate seems to be focused solely on central London. Many commentators have said Brexit would mean central London would have a lower standing in the world, meaning less people would be employed in Central London, with the implication of lower wages, fewer jobs etc., in Central London ... but we are in Aylesbury, not Marylebone, Mayfair. Now on the run up to the vote on the 23rd of June, I predict the ‘in’ camp will start to scare homeowners with forecasts of negative equity, and the ‘out’ camp will appeal to the 20 somethings, who have been priced out of the property market with the prospect of a new era of inexpensive housing, should the fears of central London estate agents and developers, who believe the bottom will fall out of the market if we do leave, become real. The reason the Mayfair’s, Knightsbridge’s, and Kensington’s of central London are attractive to foreign buyers are political and economic stability, an open and honest legal system and a lively cultural life. None of that is threatened by Brexit. ... But again, we are in Aylesbury and central London is 51 miles away. We are home to Jonathan Dimbleby, the Roald Dahl Children’s Gallery and the Aylesbury Duck, and whilst the central London property market exploded after 2009, that explosion really did not affect the Aylesbury property market. So, putting central London aside, what would an ‘in’ or ‘out’ vote really mean for the 19,000 property owners of Aylesbury? Initially, over the coming months, on the run up to referendum, I believe it will be like the run up to last year’s General Election. With the short-term uncertainty in the country, quite often, big decisions are put on ice and people are less likely to make big money purchases i.e. buy a property. However, in the four months up to last year’s Election, property values in Aylesbury increased by 0.66%, not bad for a country that thought it might get a hung parliament! Post vote, should the UK opt to leave Brussels, there would be a much more noteworthy impact. I believe that a vote to stay in the EU would see the Aylesbury property market return to a status quo very quickly, but the contrasting result could lead to some changes. The principal threat to the Aylesbury (and UK) housing market could be an upward variation in interest rates. This could theoretically see the cost of mortgages grow swiftly, pricing many out of the market … but then two thirds of landlords buy without a mortgage, so that will not affect them. According to the Bank of England, 80.33% of all new mortgages taken out in 2015 were fixed rate. Looking at all mortgages as a whole, according to the Bank of England, 44% of all UK mortgagees have a fixed rate mortgage, but 56% don’t, so if you are not on a fixed rate ... talk to your mortgage broker now, because they can only go in one direction! Today, property prices are 127.87% higher than 20 years ago in Aylesbury and are 3.6% higher than 12 months ago. So, make your own decision on 23rd of June 2016 safe in the knowledge that whatever the result, there might be some short term volatility in the Aylesbury property market, but in the long term (and property investment is a long term strategy) there are not enough houses in Aylesbury to live in either to buy or rent … and until the Government allow more properties to be built – the Aylesbury property market, will be just fine ... even if it has a little blip in the summer. Studio apartments in Aylesbury are a great entry level property for any local investor. You get good yields, the capital required is minimal compared to other property types and there is a good demand from first time buyers when you decide to sell. These Selwyn Court studio apartments are among the most popular because of their size, proximity to shops and location for commuting in or out or town. A second floor studio flat situated on the popular Bedgrove development.This excellent studio flat is conveniently situated within a short walk of the Jansel Square shopping area on Bedgrove which includes a wide range of shopping facilities including Budgens, Sainsbury`s, a chemist, Chinese and Fish and Chip take away, as well as a small cafe, butchers, newsagents and a post office. The area is served by a frequent bus service providing a reliable link to Aylesbury Town centre. The property is a compact second floor studio apartment situated on the sought after Bedgrove development and benefits from being offered with no upper chain. The property would make an ideal first purchase or buy to let investment. Accommodation includes entrance porch, bathroom, large lounge/bedroom and open plan kitchen. Outside there are communal gardens and allocated parking spaces. Priced at £109,950 with a little updating a rent of £475.00pcm should be achievable ( we recently let a refurbished example for £495.00pcm). This will return you a very respectable 6.26% gross assuming asking price and before costs of updating. Aylesbury averages around 4% to 5%. A rent of £850 should be readily achievable giving a sensible 4.13% yield. 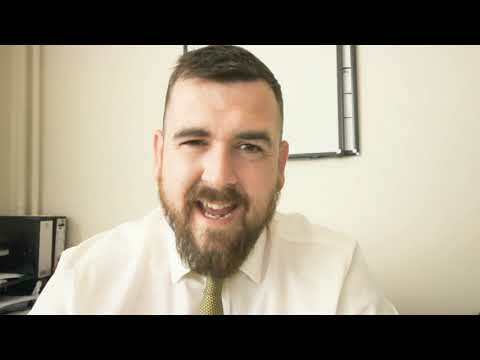 As regular readers know I favour two bedroom modern houses over all other property types in a portfolio because they they return a sensible yield and have such great capital growth potential. 8,045 Spare 'Spare' Bedrooms in aylesbury - Is this the cause of the Aylesbury Housing Crisis? That is not a typing error, of the 28,877 households in Aylesbury, 8,045 of those properties don’t only have one spare bedroom, but two spare bedrooms! … and it is this topic I want to talk about this week, because this could be the cure for Aylesbury’s housing crisis. The fundamental problem of the Aylesbury housing ‘crisis’, is the fact that the supply of homes to live in has not historically met demand, increasing property values (and in turn rents), thus ensuring home ownership becomes an unattainable ambition for the twenty something’s of Aylesbury. Call me a realist, but it is obvious that either demand needs to drop or supply needs to rise to stop this trend getting worse for the generations to come. Don’t get me wrong, I admire Downing Street’s plans to build 200,000 starter homes which will be offered to first time buyers under 40 with a minimum 20% discount price. However, the building of starter homes on current building sites, where new homes builders already have to build a certain number of affordable ‘starter’ homes at the moment under a different scheme, does not increase the stock of new ‘starter’ homes, it simply replaces one affordable scheme with another. One option that could resolve the housing crisis is if the Government literally looked closer to home, concentrating on matching households with the appropriate sized home. In Aylesbury, 18,256 households have one spare bedroom and of these, 8,045 have two or more spare bedrooms. This compares to 1,770 households in Aylesbury that are overcrowded (i.e. there are more people than bedrooms in the property). Looking specifically at the homeowners of Aylesbury, 7,182 owner occupied Aylesbury houses have one spare bedroom. Now having a spare bedroom is not considered a luxury. However, in addition to those 7,182 households with one spare bedroom, there are on top, a further 7,436 owner occupied Aylesbury households with two or more spare bedrooms. You can begin to see there is the spare capacity in the Aylesbury housing market. Principally, I will concentrate on the group that makes up the bulk of this category, the owner occupiers of large properties, in their 60’s and 70’s, where the children flew the nest back in the 80’s and 90’s. They call it ‘downsizing’, when you sell a big property, where the extra bedrooms are no longer required, to move into a smaller and, usually, less expensive property. There are many explanations why these individuals do not downsize. These people have lived in the same house for 30, 40 even 50 years, and as one matures in life, many people do not want to depart from what they see as the family home. Much time has been invested in making friends in the area and it’s nice to have all those rooms in case every grandchild decided to visit, at the same time, and they brought their friends! But on a more serious note, more and more people are beginning to downsize earlier, but in my opinion, not at a fast enough rate. As the years go on, we will have a situation where younger families will be living in smaller and smaller houses, whilst all the large houses are occupied by a couple of 70 something empty-nesters rattling around them! I believe the Government should put more weight behind downsizing, because with the right incentives, many could be encouraged to think again and make the spare rooms available. One option is for retired downsizers to be exempt from stamp duty on the new property, saving them thousands of pounds and another for the planners to work with builders to build not only starter homes for under 40’s, but also have housing built just for retired downsizers. The fact is not enough properties are being built in Aylesbury, and with population rising at a faster rate, something needs to give. I believe the Aylesbury population (and in fact the whole of the UK) is slowly turning into a more European model of house ownership. In Europe, most people rent in their 20’s and 30’s, only buying in their 40’s and 50’s, when they inherit money from the sale of their late parent’s property.